Katharina Wohlgenannt was born on 11 August 1874 in Dornbirn / Austria (around 10 km away from the eastern end of the Bodensee Lake). 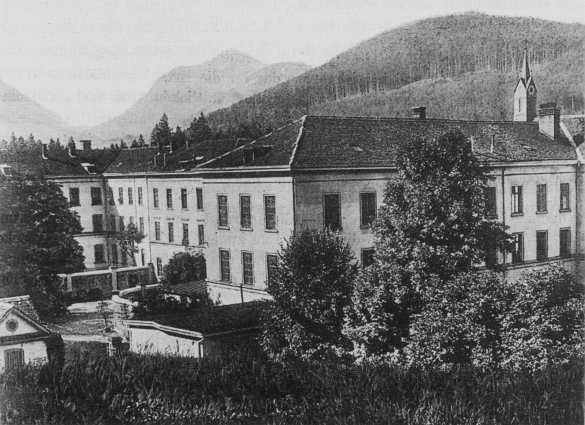 Because of her psychiatric illness she was sent to the mental home "Irrenanstalt Valduna" at Rankweil (in Vorarlberg / Austria) on 17 December 1932. In course of the euthanasia Aktion T4 Katharina Wohlgenannt was picked up at Valduna on 10 February 1941 because Valduna doctors classified her as being schizophrenic. A grey GEKRAT bus brought her, together with other patients, to Hartheim Castle. There she was gassed the same day. Five T4-transports left Valduna because this mental home should be converted into a military hospital. Two transports (10 February and 17 March 1941) were sent directly to Hartheim, the other ones at first to intermediate mental homes. Katharina Wohlgenannt belonged to the first transport. As usual, the ashes of the victims were mixed and filled into urns. These urns were sent to the relatives. Katharina Wohlgenannt's urn was found probably in Konstanz (German town at the Bodensee Lake) after the war. This page will be improved as soon as more details come to light.